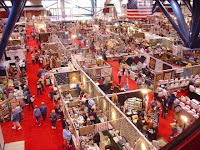 Mom and I were fortunate enough to be able to attend the Fall Quilt Market in Houston, TX. I was super pumped because I had never been to Houston before and I was done with helping Dad on the farm. I had no idea what to expect, I was nervous and excited. We drove down to Minneapolis the night before and ate at one of my favorite restaurants, Chino Latino. I even convinced Mom to try eating with chopsticks and she dared to try sushi. She decided it wasn't so bad and that she was wrong in assuming all sushi was bad after trying it on a cruise ship.....TIP: Don't eat sushi that's not fresh. We both tossed and turned all night in anticipation of flying to Houston the next morning...we were too excited to sleep! We saw a friendly face while waiting for our plane to board. Roseann Meeham Kermes of Rosebud's Cottage in White Bear Lake (check out her blog, it's awesome...http://rosebudscottage.typepad.com/). She's always on the cutting edge of whats new so we had fun tossing around some ideas with her. We also met up with the ladies of Eagle Creek Quilt Shop in Shakopee (http://www.eaglecreekquiltshop.com/) after landing in Houston. Stepping outside, the weather was almost the same as back home...maybe a little warmer. We checked into the brand new Embassy Suites hotel in downtown Houston and were VERY pleasantly surprised to find that it was half a block from the convention center. We used the night to compare notes of things we needed to look for at market and reviewed our market booklet for interesting classes and booths. We did treat ourselves to a night out at McCormick & Schmick's (best Lobster Bisque EVER) and a couple drinks at Pete's Dueling Pianos (I requested Lady Gaga and the GUY played a compilation of a few of her songs!). The first day of Market is dedicated to business building classes and product demos, they call it schoolhouse. We started at 8am, took a short break for lunch, and continued until 6pm. It was mind numbing, but a lot of fun. The classes with Kizer and Bender (http://www.retailadventuresblog.com/) were the most valuable for me. That night we went to Sample Spree. We decided to show up fashionably late because we didn't want to get run over by everyone looking for a good deal. Don't worry, we did pick up some goodies for you! Saturday was when the real fun started...they opened the doors to the HUGE exhibition hall and let us ladies go nuts. It wasn't like the running of the bulls or anything, but I'm sure you can imagine hundreds of quilt shop owners rushing in to see all of the vendors. 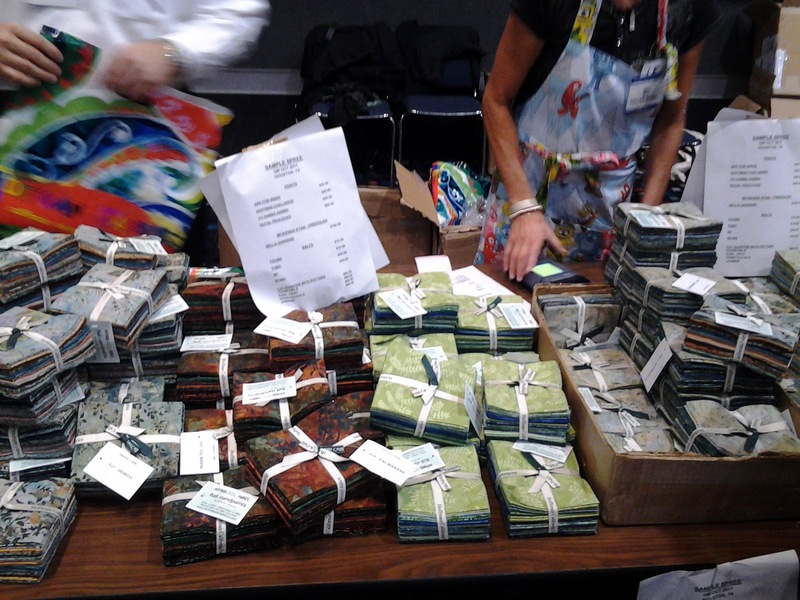 We spent Saturday and Sunday meeting with fabric reps and checking out each of the booths. 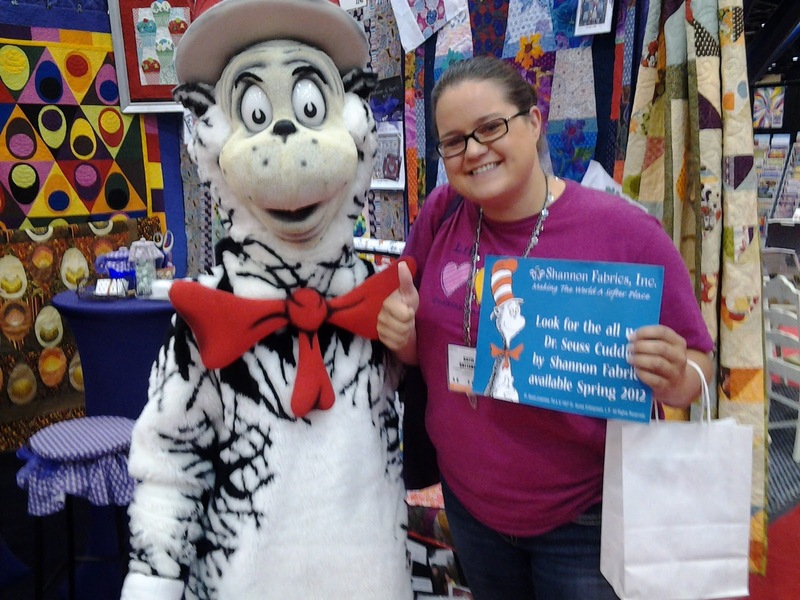 It was extremely overwhelming for me, I didn't know where to look...at the rich batik projects, the ornate applique patterns, the time saving tool demos...and then I saw him....the Cat in the Hat! 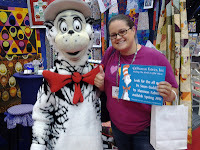 I had to take a picture with him and my heart skipped a beat when he handed me a flyer that said that Shannon would be making Cat in the Hat cuddle. 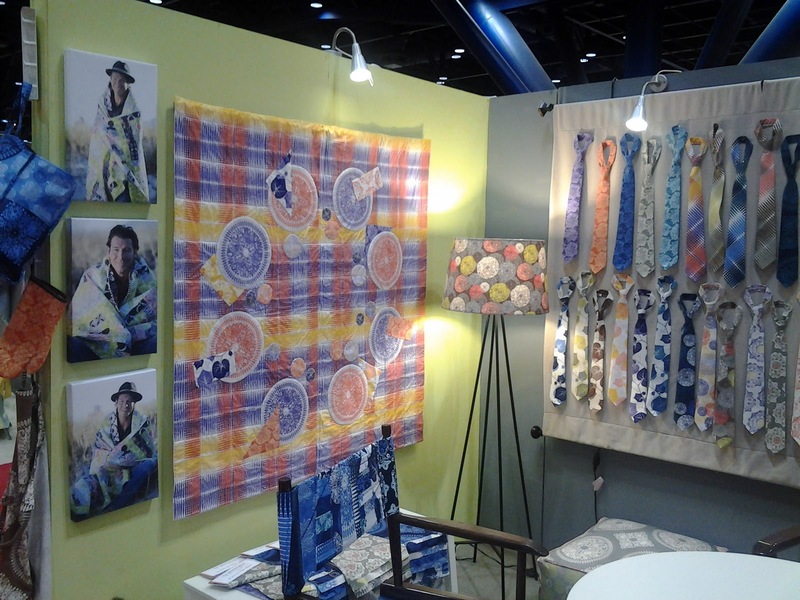 It was amazing to see some of the designers including the famous Ty Pennington from Extreme Makeover....yes, if you didn't know, he designs fabric (that's his booth to the right). I also talked with Amy Butler and her husband (who now has is own fabric line)...more on them in another post. I met pattern designers as well, like the ladies that wrote Sweetwater's Simple Home Quilt Book (we featured it during August Thrifty). 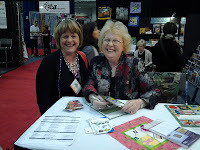 Mom met Carol Doak (picture on the right) and got a signed copy of her 50 Little Paper-Pieced Blocks book. We found so many treasures that we filled our suitcases full and had to ship two boxes full of things. While waiting to ship our finds, Mom talked with Julie Stewart of Keepsake Cottage Fabrics in Bothell, Washington (http://keepsakecottagefabrics.blogspot.com/). They attended a retreat together. 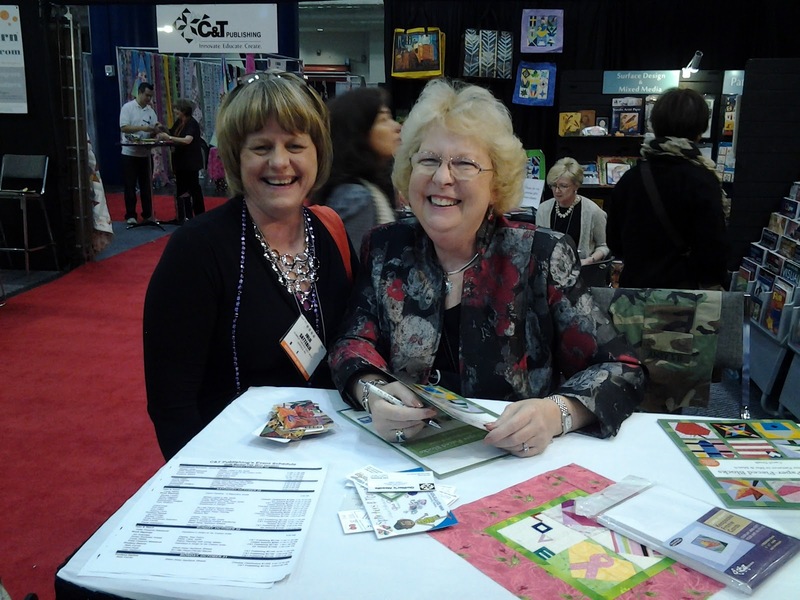 It's so much fun to see other quilt shop owners that are as excited as we are about the profession! Before we knew it, it was time to head home. 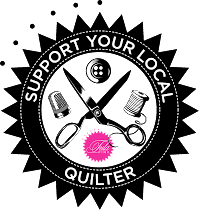 I was sad for Quilt Market to be over, but the most rewarding part hasn't even started yet...sharing all of our finds with you! Over the next few months we will overload you will all of the things we found....are you ready? I am sew excited that you have established a blog! 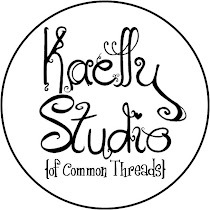 I love visiting you and your shop nearly every summer...this way I can keep up on the Common Threads Crew year round! I was thrilled to see you had a link to my blog...how sweet of you! Thank you! Wishing you tons of success...always!